​Join us for the 1st Annual Nonprofit Leadership Conference! 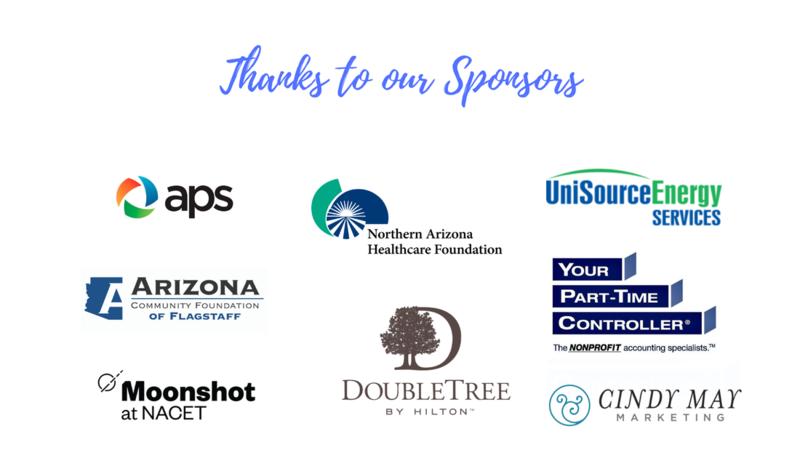 The Northern Arizona Center for Nonprofit Entrepreneurship is proud to present the 1st Annual Nonprofit Leadership Conference in Northern Arizona. On May 23rd, join fellow social change makers and learn from the best in nonprofit leadership in Northern Arizona. Learn more about each workshop on our agenda and speakers pages and check out our featured keynote speaker below! Mexican style lunch will be provided. Register before May 10th and save $20 per ticket! We are honored to have Janice Sweeter join us as keynote speaker. She will share her expertise on nonprofit collaborations. Sweeter spent 15-plus years in the Phoenix area, leading teams and strategic alliances for advertising agencies, content marketing firms and client-side organizations, including: Actors Theatre, the Arizona Lottery, Arizona Office of Tourism, Arizona State University (ASU), BayBank, Blue Cross Blue Shield of Arizona and Medicis Pharmaceutical and was Board Treasurer for Arizona Citizens of the Arts and advised clients independently as founder of Collaboration Marketing, LLC. With a heart for community service, she focused her doctoral dissertation on the alliance of nonprofit, government and for-profit organizations that worked together to essentially eliminate Veteran homelessness in Phoenix, developing a model of community engagement from the case study. ​Click HERE ​to learn more about Janice Sweeter.